New year, new places to go and new people to meet. Lifelong travellers share the transformative power of exploring new destinations. Warning: May inspire wanderlust. I was out of breath. Dirt kicked up behind each stride, as I focused my attention on my relay partner a mere 50 meters ahead. Closing in on the final stretch of my 5 km contribution to the race from Nairobi to Naivasha, I knew I had failed my best intention to finish strong; I’d have to settle for mediocre. But, then again, finishing so-so isn’t bad for someone’s first run through the Great Rift Valley. What inspired this Canadian gal to run a relay race through the Rift in Kenya during her early 20s? Exactly how did I find myself kicking up dust with bomas (traditional Kenyan homesteads) to the left of me and acacia trees to my right? The answer to these questions sum up why I love travel so much. When I think back to that time and recall my Kenyan counterparts urging me on with cheers—eliminating any chance of me throwing in the towel and walking—I’m filled with wonder. I marvel at the seemingly magical thread of events, while in reality, conscious and deliberate choices led me to that unforgettable time and place. This wonderment, mixed with humility—the result of experiencing the extraordinary in the everyday—is why my passport continues to fill up with stamps today. I first experienced the thrill of this combination as a 17-year-old on a ME to WE Trip to Kenya (my first time in the country), and I continue to experience it more than a decade and 30+ countries later. Working with WE, the benefits of travelling with a purpose—on trips full of cultural exchanges, relationship building and service learning—are a constant. Part of the unique fibre of a ME to WE Trip is that the facilitator (a role I played for years before retiring to tell WE’s stories of impact) is with the group on the ground, experiencing everything with them—there to encourage first-time and seasoned travellers to open themselves up to the journey before them. No need to take my word for it, though. Below, five of WE’s global aficionados—each a connoisseur of travelling with intention—share how travel has shaped their lives and why their wanderlust is sure to continue into 2018. Change your perspective and find direction. If the zombie apocalypse arrives, I know who I am calling: Dwaine Taylor. The first time I met Dwaine was during a facilitator orientation for a ME to WE Trip in the Dominican. The group had yet to arrived when I picked up Dwaine from the hotel for a casual lunch. He came prepared with an essential survival kit strapped to his back (rope, compass, first-aid kit goes without saying). The guy was prepared. After his trip, he switched focus from an undergraduate in law to studying philanthropy and non-profit leadership. During his studies, he signed up for another service-learning trip, this time with ME to WE. The experience solidified Dwaine’s choice to work in the non-profit world. Today, he uses his skills to help young people and schools navigate the best tools and programs to tackle issues they care about, as a manager with WE. 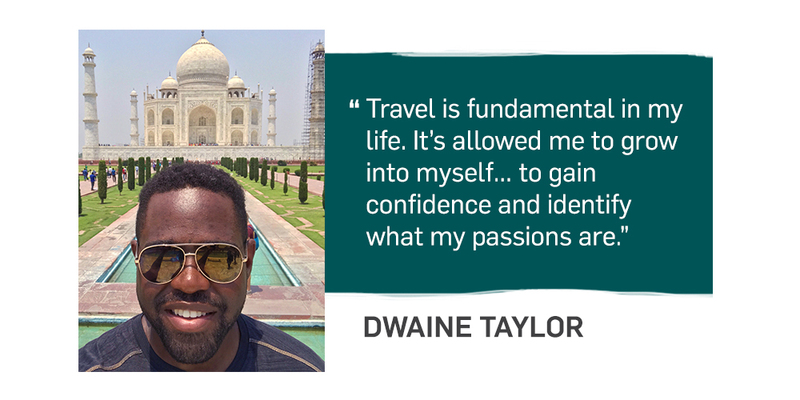 He recently finished facilitating his second ME to WE Trip, this time to India, where he continued to help young people find their true north, just like he found his. Alannah Ford is a self-proclaimed “trip kid.” That wasn’t always the case, though. Hailing from Bracebridge, ON, the decision to leave her small-town to go on a ME to WE Trip to Kenya as a 17-year-old was a big one, but one she felt she needed to follow through. Her inspiration? A talk from WE founder Craig Kielburger. “I heard Craig speak. At the time, I had no idea who he was,” Alannah admits. 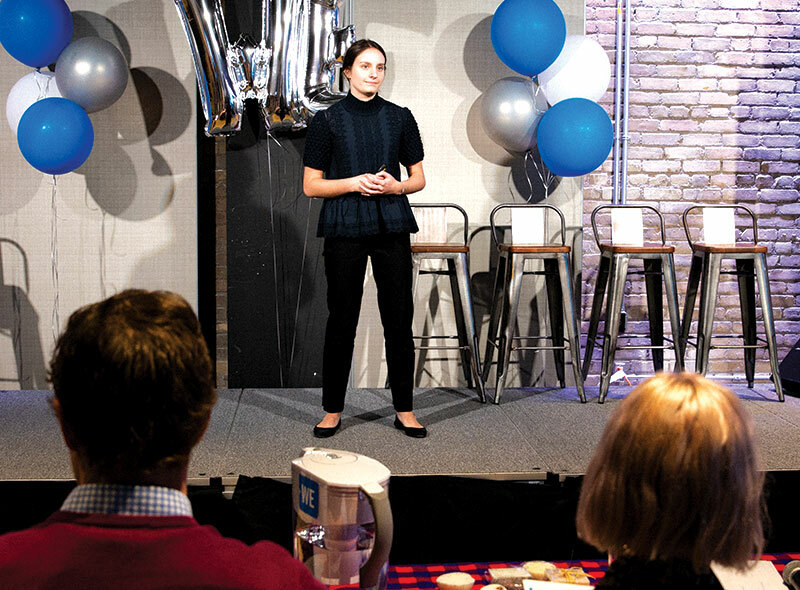 The talk inspired Alannah and three friends to look at global inequities in the world. 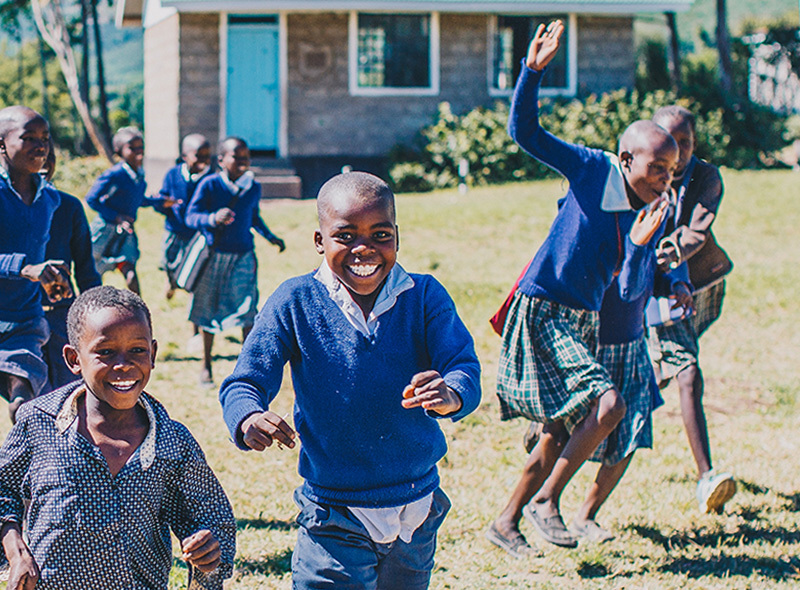 They decided to fundraise $10,000 for a school in Kenya. Then, when one of Alannah’s friends suggested they fundraise to travel to Kenya themselves, Alannah agreed. 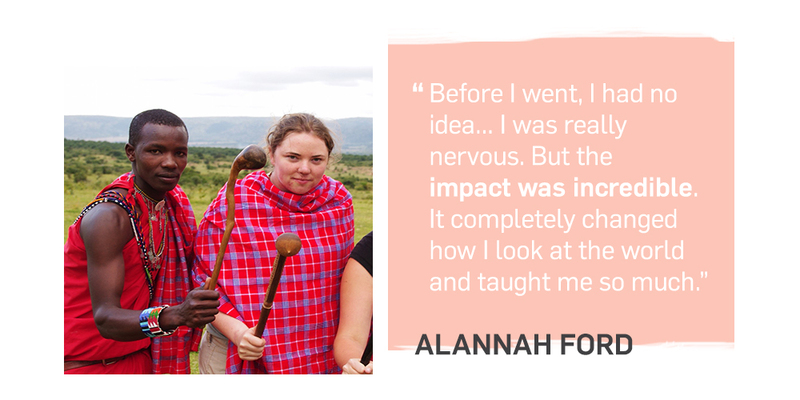 The experience would inspire Alannah to later apply and become an in-country facilitator with ME to WE in Kenya. She admits people from her town were surprised she wanted to do that. “I was such a home body. I hated public speaking, I hated big groups.” If you’ve ever met Alannah on trip, that can be hard to imagine. Joanna has facilitated three trips to Nicaragua since she started in 2012. 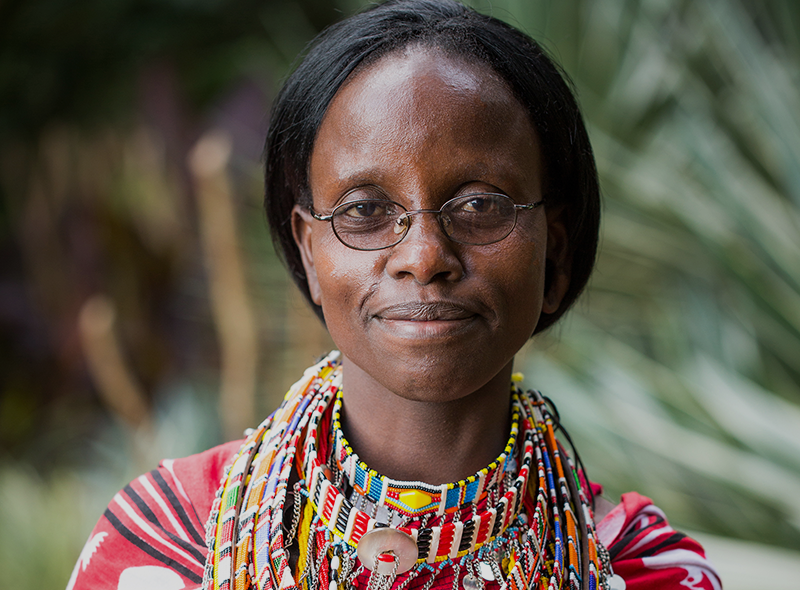 During that time she’s worked as a facilitator in five WE Villages countries and now is part of the team overseeing the quality and development of the trip experiences. She says she is constantly learning about herself, whether she is seeing her confidence grow, discovering new strengths, or rediscovering connections. She’s learned never to underestimate the power of repeat travel. It took Ryan Kern one week to fall in love with Ecuador. But, his love-affair with purpose-built travel started years prior. The baseball player from the mid-west US is now the go-to for family and corporate trips in the Amazon. For Ryan, it all comes back to family. His grandmother introduced him to WE in 2011, when he was looking to explore a world outside of college ball. He went to Kenya with ME to WE for the summer as a junior facilitator. “I fell in love with the approach,” Ryan says. 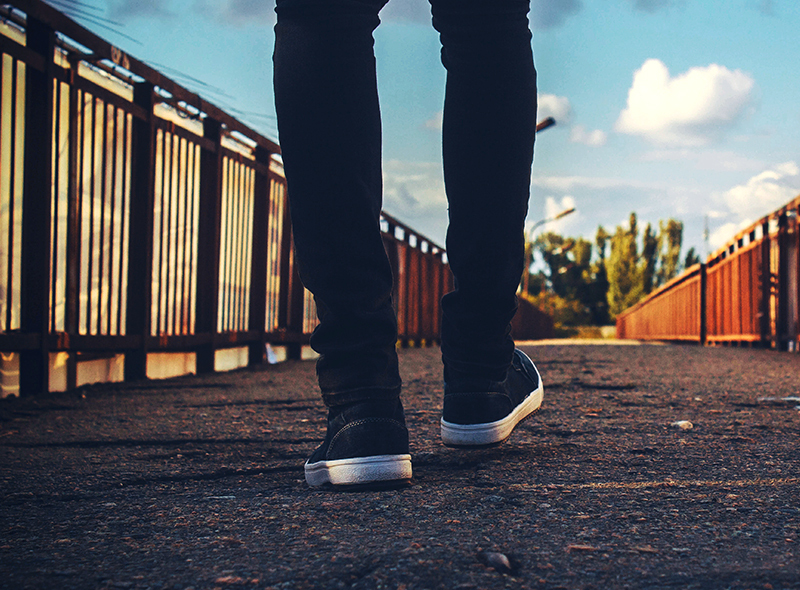 “The sustainability aspect, the social justice aspect… I just fell in love.” His role as a junior facilitator quickly turned into a full-time facilitator job, giving way to a thriving travel career. Along the way, it’s the people who remain a constant source of inspiration. It’s there among team members who run WE Villages community projects. You pick it up from youth travellers, away from home for the first time. It beams off of families who have together found a vacation that will widen their perspective. And, inspiration percolates within companies wanting to strengthen their team bond on a shared journey of discovery. 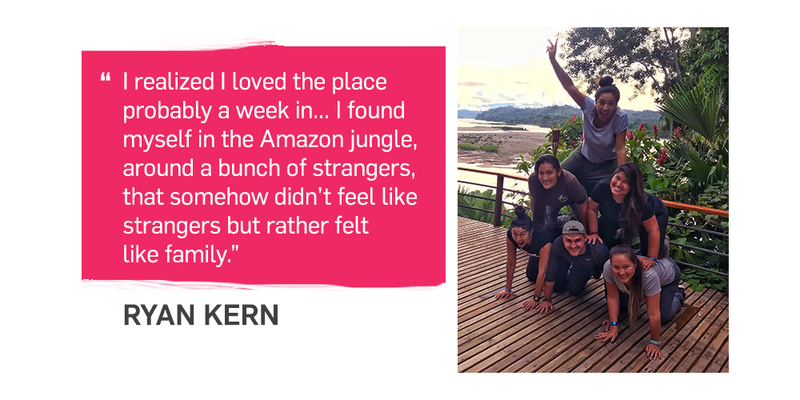 For Ryan in Ecuador, he quickly bonded with his Ecuadorian teammates on a staff retreat at ME to WE’s Minga Lodge in the Amazon. “[I met] people who had the same goals, the same ideas and the same drive that I did. That’s when I really fell in love and felt comfortable here,” he shares. On any given day, you can find Julie Paquette teaching French in a Montreal classroom, walking a group of students across the Great Wall in China, or kite-boarding along the coast of the Dominican Republic. A lover of all things travel-related, Julie is a seasonal facilitator with ME to WE, leading trips with ME to WE since 2013. Having clocked in time in front of the classroom, she understands the opportunity for learning from travel. For her, each trip is an opportunity to learn something new about yourself and the world around you. As a teen, Julie first went on a trip to Spain, enchanted by the language—her third to pick up. When a young adult, she discovered she wanted to add a layer of “purpose” to her globetrotting ways and found the right fit with ME to WE. One of the countries Julie cites as a great teacher is India, the country where she began her career in travel. 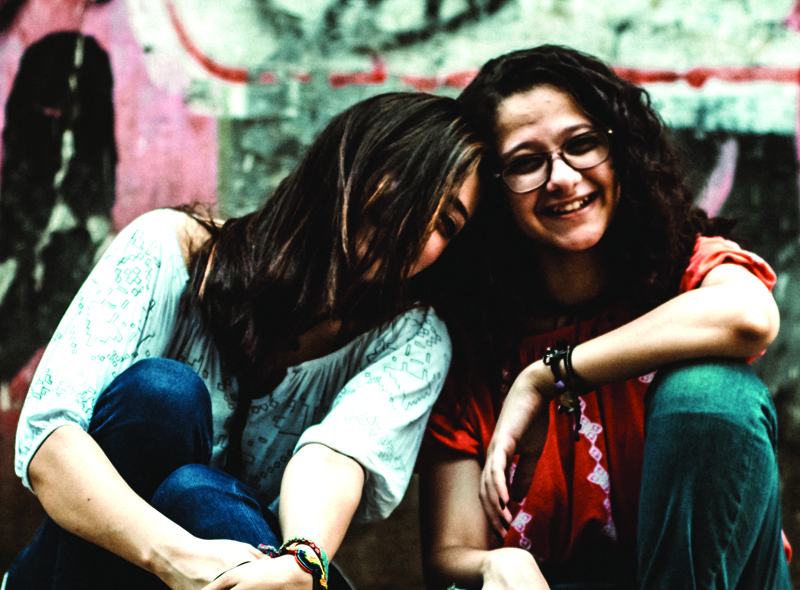 Facilitating a group of 20 teens through a brand-new culture, including unwrapping the caste system with people who live it, opened up the true meaning of travel for Julie. 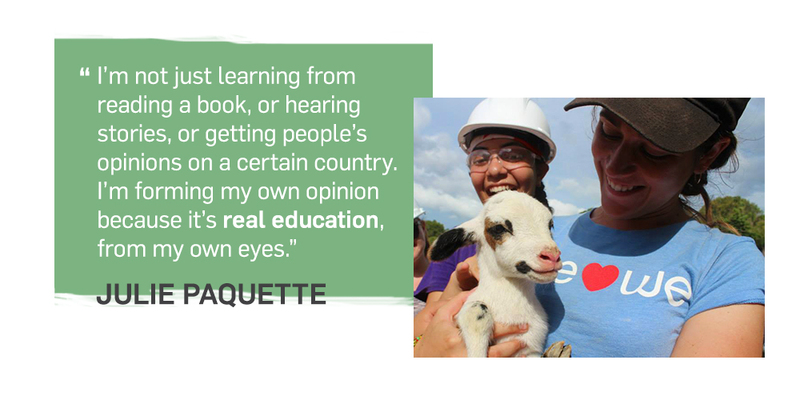 The experiential learning she helped guide on that trip turned Julie into a strong proponent of the worldwide classroom. She calls it a “hunger for life” that becomes insatiable once you get a taste for different cultures, international cuisine and learning the world’s languages. Travel has become a way of life for Julie. With each jaunt, she forges connections with incredible people, while gathering lessons that continue to enliven her perspective long after she’s unpacked her bags. Wanda O’Brien loves finding out people’s stories and learning from different cultures. A Canadian abroad, she’s worked on four continents.